What type of dad was Michael Jackson? Home » Kids » What type of dad was Michael Jackson? "Normal" is probably not a word that many people would use to describe the late Michael Jackson. But it is a word that the pop star's three children use when describing the type of dad he was. "He was just a normal dad, except for he was, like, the best dad ever," Jackson's 12-year old daughter, Paris, recently said in an interview with Oprah Winfrey. The so-called King of Pop's kids, Prince Michael, 13, Paris, and Blanket, 8, sat down with their grandmother and legal guardian, Katherine Jackson, and Winfrey for the interview. "I kind of felt like no one understood what a good father he was. I'd say he was the best cook ever," Paris said. His specialty, according to the children, was French toast. The kids also discussed the veils that they used to wear out in public saying that even though they were uncomfortable, they understand that their father was trying to make it so they could go out in public without him and not be recognized. Although they are still dealing with the loss of their father from a prescription drug overdose more than a year ago, the Jackson children are also living a much less sheltered life with their grandmother. The two oldest are no longer home-schooled and the youngest will go to a regular school starting next year. "He tried to raise us without us knowing who he was, but that didn't really go so well," Paris told Winfrey. 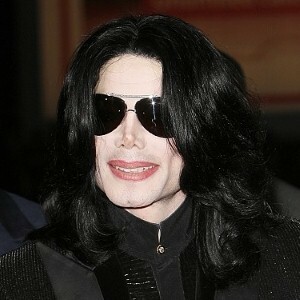 Jackson's physician, Conrad Murray, is being charged in connection with the pop star's death.